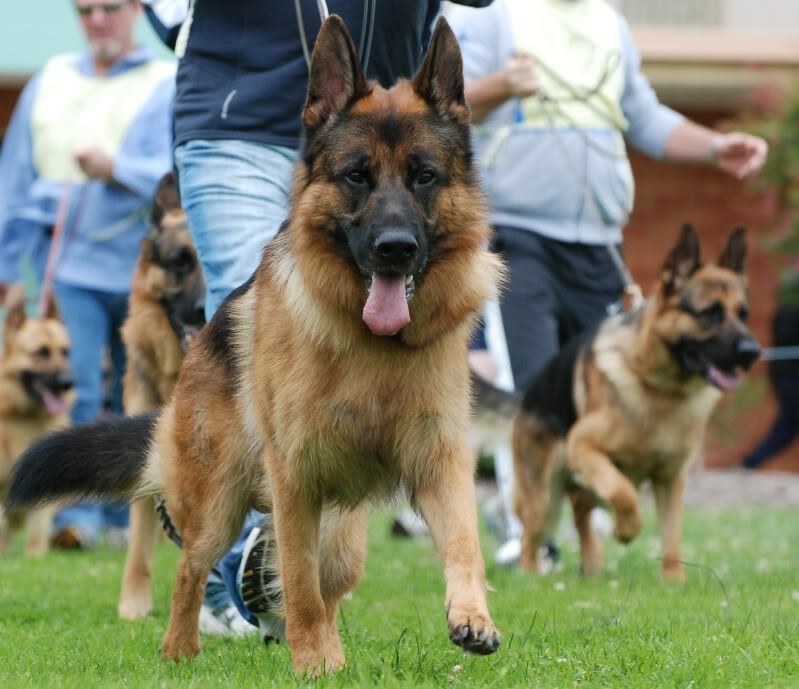 The German Shepherd Dog Club of Tasmania was first formed in the early seventies. Its aim is to improve the breed standard in conformation and obedience and also to improve the public perception of this wonderful breed. The Club held its first General meeting at the Orient Hotel in Launceston on January 20, 1973 and by June of that same year, had 59 financial members. The Club produced a monthly newsletter beginning in December 1972 and set about holding events for GSD's. A parade was held in 1973 and the first Championship Show was held in August, 1974. Affiliation with the German Shepherd Dog Council of Australia occurred in April, 1973 and in January, 1974 the Club gained affiliation with the Kennel Control Council of Tasmania (now TCA Inc.). Of the original members several can still be seen at Club events. The Club has 8 Life members, most of whom still attend GSD events in Tasmania. Mrs B Suckling, Mrs. C. McCaskill and Mrs. P. Eaves-Tennant were nominated in 2002, Mr. E. McCaskill and Mr. K. Eaves-Tennant were nominated in 2003, Mr. G. and Mrs. J. Priest were nominated in 2004, Mrs M Stewart was nominated in 2012. The Club is affiliated with the Tasmanian Canine Association and the German Shepherd Dog Council of Australia. The affairs of the Club are managed by an elected committee including experienced German Shepherd Dog owners. The Club offers support for new members by providing training and education about the ownership of German Shepherd Dogs. When you own a registered pedigreed German Shepherd Dog, you are able to show your dog in Specialist Shows conducted by the Club throughout the year. Some of these are held in the north and some in the south of the State. These shows are judged by specialist judges who assess the overall conformation and working ability of exhibited dogs. Your dog can earn Championship points and titles through competing in these shows. Similar options are available at Shows on the mainland as well. There are also opportunities to enter in Parades and Shows organised by other clubs which do not specialise in GSD's but which cater for a wide range of breeds. If successful in these events, your dog can also earn Championship Points and Titles. 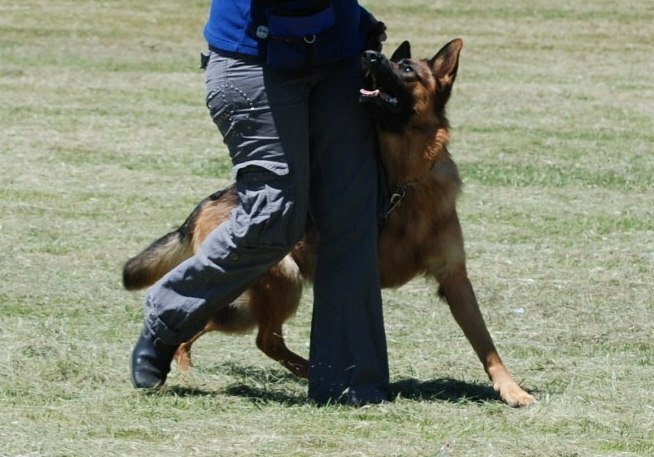 The Club provides training for German Shepherd Dogs and owners at grounds in both the north and the south of the State. Training consists of Show and Breed Survey training. Starting times depend on time of the year and weather conditions. Puppies are most welcome at training venues from 12 weeks of age. If they do not take part in actual training, please bring them along for socialisation with other dogs and with people, as this is a most important facet of their training. Training sessions are also a great time to enjoy the companionship of people with similar interests, to pick up valuable information to help you in the development of your dog and to develop a network of experienced GSD owners who can provide help and advice if problems arise. A number of dog training clubs provide opportunities for obedience training and socialisation. More information about Obedience Trials, Tracking, Agility and Championship Shows is available from the Tasmanian Canine Association Gazette. Obedience trialling can be great fun for both you and your dog and can also help to develop a network of experienced dog owners who are generally keen to help if problems arise. Involvement in showing and trialling is an ideal way to train and socialise your dog and to expand your own circle of friends at the same time. In striving to improve the breed overall, the German Shepherd Dog Council of Australia (GSDCA), in conjunction with all States and Territories has introduced several schemes designed to bring about improvements in health, physical development, temperament and conformation. See Schemes for further information. Club membership is open to all enthusiasts of the breed, subject to Committee approval. Quarterly Club magazine which includes updates, Club activities and articles of interest. GSDCA quarterly National Review Magazine keeps you in touch nationally with educational breed articles, show results and the latest national & overseas updates. Lectures by visiting specialist judges.